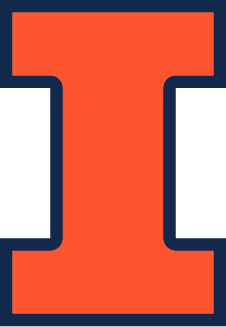 Welcome to the Information Trust Institute At Illinois homepage! The Program in Digital Forensics team is developing a new undergraduate educational curriculum in digital forensics in order to address a national shortage of trained cyber-security professionals. Forensics is the use of scientific methods to obtain information with legal significance, and digital forensics is a type of forensics that deals with recovery and investigation of data in digital devices. Digital crime, and the need to use digital evidence in investigations, are both growing dramatically in today’s technology-dependent world. Consequently, digital forensics is now a major part of many criminal investigations, and its tools are frequently and increasingly being used by law enforcement agencies. According to one estimate, the number of jobs related to digital forensics will increase by over 20% from 2010 to 2018. While a number of academic programs on digital forensics have been developed, the field and its curriculum standards are still evolving. Therefore, without a standard curriculum, there may be great inconsistency among the university programs being offered. The aim of ITI’s project has been to develop and implement a model curriculum in digital forensics that balances the various necessary multidisciplinary components, and to work for acceptance of that model as a standard for education in digital forensics. To address the challenge of teaching such a complex topic, the ITI development team includes not just faculty in computer science and computer engineering, but also experts in criminal justice, law, sociology, and educational assessment. The curriculum resources created will be usable as the basis for future academic programs, distance learning, and multidisciplinary, multi-institutional programs that meet evolving standards. Much of the material is available on-line and will be shared with other institutions upon request. More information, please visit the Digital Forensics Education Initiative website or email the team leadership at iti-digitalforensics@lists.illinois.edu.